How was your Thanksgiving? We spent a wonderful week in Fresno with Zack's family and it was so much fun! We are headed back to Utah for two weeks and I'm excited to see our friends. Obviously, the business has us hopping all the time. But it also gives me beautiful projects like this one, to share. Mimi Kong worked up this beautiful little DIY project and I loooove it! 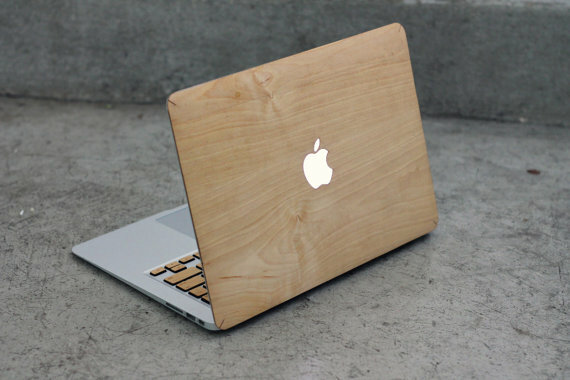 Mimi started with this macbook pro and purchased a real wood case for it. 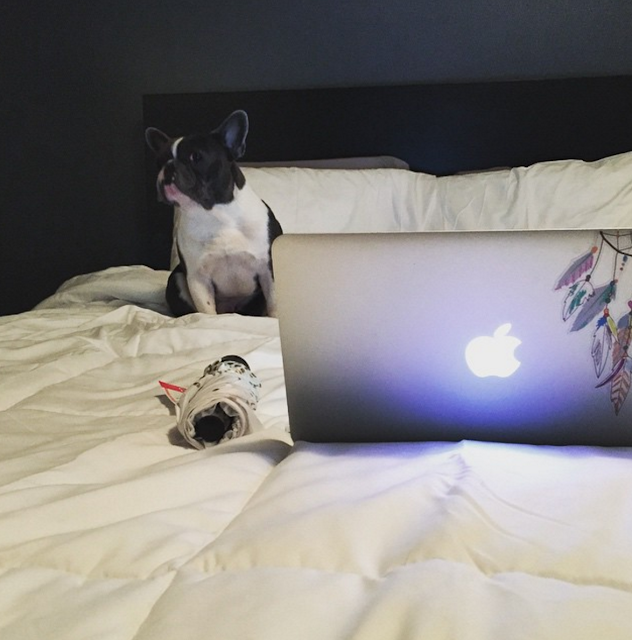 [ How cute is that Boston Terrier?] This project's a super simple two steps and can be completed, start to finish, in just one afternoon. 1.] 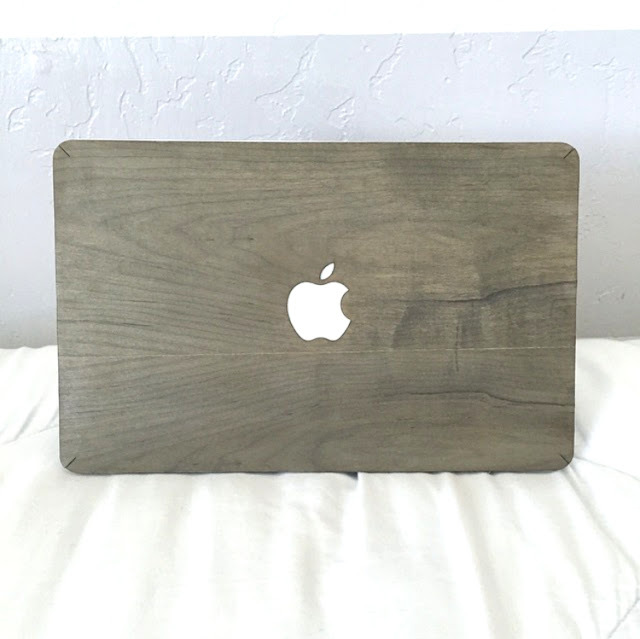 You can apply the stain to raw wood, like the macbook case. You can use a foam brush for a small project like this. Make sure to drench the wood and allow the stain to dry naturally, do not wipe it back off. 2.] You can apply the furniture wax with a wax brush or a rag. Apply a thin coat of wax, then use a clean, soft rag to buff the wax to a soft, smooth finish. The wax should not be tacky at all, or it's on to thick and needs buffed further. I love this little DIY. It can be done in a hour and it's gorgeous! Since Mimi posted it, it's since made it only my own DIY list, for a Christmas present! I hope you enjoy!